Being harassed by a debt collector is just about as much fun as falling prey to a pack of hyenas.. A debt collector will hound you and hound you until you give up and pay the debt just so that you can get rid of him. This is just the way that collectors work. Debt collection agencies buy debts for pennies on the dollar and then make their profits by extracting more from you than they paid for your debt. Since these are unsecured debts, there’s nothing a debt collector can do except harass you and possibly sue you. The first thing that collectors don’t want you to know is about the Fair Debt Collection Practices Act that was passed by Congress a few years ago. The reason they don’t want you to know about the Act is because it spells out certain things that debt collectors can and cannot do. Here is a partial list of what they can’t do. The second thing that collectors don’t want you to know is that if they are violating any of these rules, you have recourse. You can actually stop it. What you will need to do is write the collection agency what’s called a cease-and-desist letter. You can find samples of these letters online at web sites such as the Law Depot. You will need to send the letter Registered and Return Receipt Requested so that you will have proof the collection agency received it. Once it does, it is allowed by law to contact you only once more. For example, it could contact you to tell you that it will no longer be contacting you. Or it could contact you to tell you that it’s taking some specific action such as suing you. Another thing that debt collectors don’t want you to know was mentioned previously. It’s that they buy your debts for much less than you owe – probably for pennies on the dollar. For example, they might buy a $1000 debt for $50 or even less. 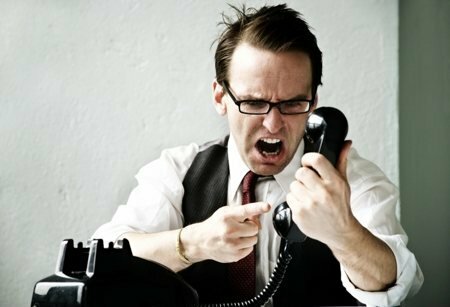 This provides plenty of opportunity for you to negotiate with a debt collector. If you want to settle the debt, you might be able to do so for 30% or even less of what you owe. You could also stipulate that once you pay the settlement, the collection agency will send a letter to the three credit reporting bureaus that the debt has been paid in full and all obligations have been met. And don’t take the collector’s word for this. If you are able to successfully negotiate this, be sure to get everything in writing. A fourth thing that collectors don’t want you to know is that most of them are paid on commission. This means that they literally don’t earn anything unless they can collect on your debt. They also usually have a monthly goal they must meet. For his reason, the collector may be a lot more willing to negotiate towards the end of the month. Again thanks to the Fair Debt Collection Practices Act, the first time you receive a call from a debt collector, you need to ask that everything be put in writing. Here’s a short video that explains this process and why it’s important. Despite what a debt collector may threaten, he or she cannot get a lien on your house without taking you to court and getting a judgment. Some collection agencies will file suit and if they do so, make sure you show up in court for your hearing. The reason for this is that if you don’t, the agency can get what’s called a summary judgment and then put a lien on your house or some other property.